ownCloud is a free software alternative to some proprietary web services and it currently includes file management (with built-in file sharing), music streaming, calendar, contacts and more - all running on your computer or server. Mirall is a Qt tray sync client that uses Csync and allows you to synchronize data between the local machine and ownCloud. Both Csync and Mirall are currently in early beta stages. They can already be used to synchronize your ownCloud, but there are some features that don't work yet, like installing ownCloud straight from Mirall. For now, there's no file manager plugin so you won't be able to see the current file sync status (emblems) or share files via your file manager. But you can do this using the ownCloud web interface. 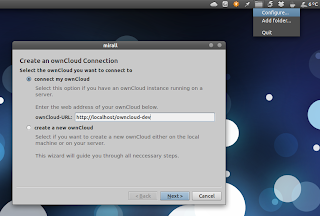 A first stable Mirall version is expected to be released with ownCloud 4 and it will be targeting Linux, though Windows might be supported too (it's a second priority). 1. Firstly, you must select "Configure" from the tray icon and enter your ownCloud URL address. Selecting "create a new ownCloud" doesn't work for now! 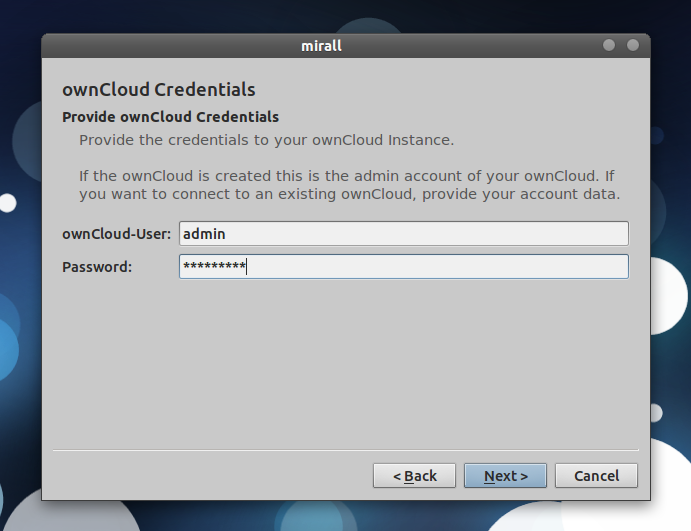 Please note that at this point, if you select "Configure" again, Mirall won't look like you've already entered the ownCloud URL. This is a display error and if you quit Mirall and start it again, this display error should be fixed. Rember, Mirall and Csync are in early beta stages and you'll find bugs. To quote the Mirall announcement on the ownCloud mailing list, "PLEASE DO NOT use in production. IT WILL EAT YOUR FILES!!" 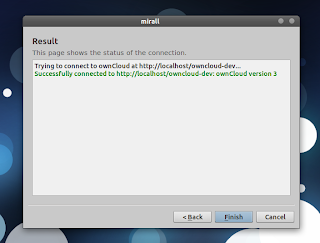 In my test, Csync and Mirall seem to work just fine with ownCloud 0.3, however, the Mirall / Csync beta release announcement states that you should use the latest ownCloud from GIT. The packages in the PPA are a bit older than the latest Mirall/Csync beta, but they should work just fine. Hopefully the PPA will be updated soon with the latest version(s). Mirall doesn't come with a .desktop file so to launch it, type "mirall" in a terminal. For Fedora 16 and openSUSE 12.1, get Mirall and Csync from HERE. To install Mirall and Csync in other Linux distributions, get the source from here: Mirall, Csync. Update: check out the ownCloud 3 review on yesterday's Linux Action Show episode: Your OwnCloud | LAS | s20e08 (also available on YouTube).